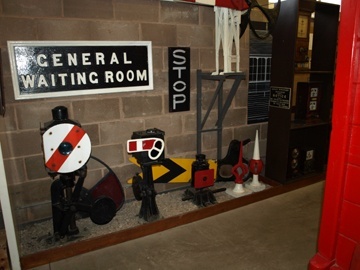 The Conwy Valley Railway Museum was originally formed by Alan Pratt in the early 1970s with a small exhibition in one of the standard gauge bogie coaches. The MK1 coach serving as a small café providing tea, coffee and biscuits. The carriages were left on a section of one of the sidings in the old goods yard of Betws-Y-Coed station. Later an actual museum building was added, with the arrival of our 15 inch gauge Britannia locomotive, the museum building was altered to accommodate the incoming track and incorporate Britannia into the museum site and several new showcases and layouts were also added at this time. Access to the museum can be obtained through the model shop. 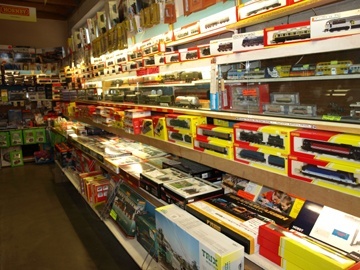 Within the museum there are 5 model railways which are self operated. We also stock the Thomas and Friends Adventures, Trackmaster and Hornby ranges for the younger enthusiast!